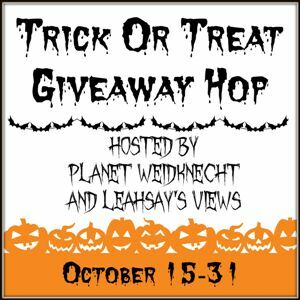 Welcome to the Trick or Treat Giveaway Hop! What's your favorite Halloween Movie? 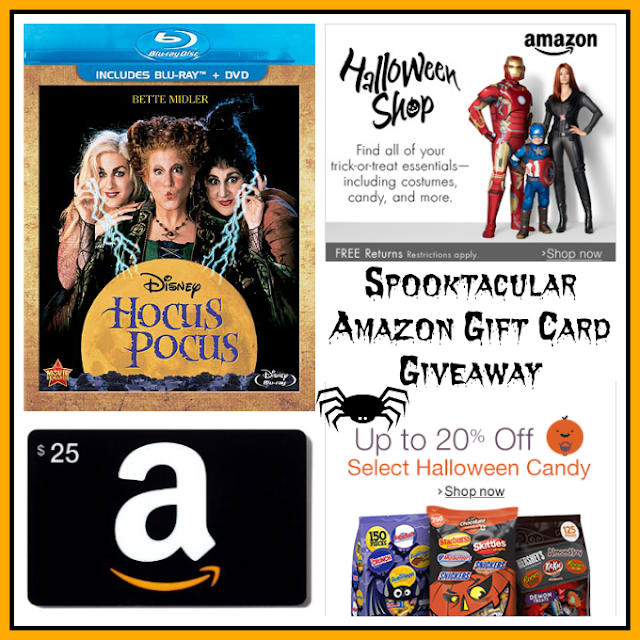 Mine is Hocus Pocus and I just scored it on DVD/Blu-Ray for only $10 PLUS FREE Shipping with Amazon Prime! Whether you are buying costumes, candy, movies, or decorations, Amazon is your one stop for Halloween shopping. One lucky Nanny to Mommy reader will win a $25 Amazon Gift Card to go on a mini shopping spree of their own! Open to wherever Amazon ships! :D Entry is easy, just follow the prompts on the Rafflecopter below. This giveaway is sponsored by Nanny to Mommy. Gift Card will be issued in the form of a gift code. This post contains affiliate links. Wish there was a way we all could enter I dont have a kid or even know of a little on e to enter.